"Mom Says/Dad Says," an exclusive Christian parental advice column by Gregory Slayton, former U.S. 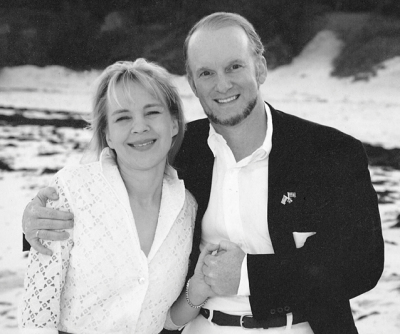 Ambassador to Bermuda and author of the best-selling book Be a Better Dad Today: Ten Tools Every Father Needs, and his wife, Marina Slayton, author of the new book Be The Best Mom You Can Be. The Slaytons have been featured on Fox and Friends, Focus on the Family Radio and numerous other media outlets. They donate 100% of their royalties from parenting books to fatherhood and family nonprofits. Senators John McCain and Joe Lieberman, Governors Jeb Bush and Sam Brownback and Pastors Tim Keller and Luis Palau, among others, have endorsed the Slaytons. In their exclusive series for The Christian Post, both Marina and Gregory will answer thoughtful Christian parents seeking to raise their children up in the goodness of the Gospel and the Glory of God. If you would like to have Marina and Gregory answer your questions, please contact them via momsaysdadsays@christianpost.com. Parents Question: Now that we have young children, it's much more difficult to travel as a family. My wife and I used to love to travel, but now it is a lot more stressful. How can we make family vacations more fun and less stress? Mom Says: It is great that you are committed to travelling with your children. The world is a big place — and we parents do our children a disservice if we don't help them learn about it. That said, it is tough to travel with young children. Gregory and I sometimes would have to bring an entire suitcase just for the kids' stuff. And of course children don't always behave as you hope they would, especially in new environments. 1. When they are young, keep the trips easy. Short car trips can be great. You are in control of your timing and can easily bring whatever you need. Long plane trips are to be avoided if possible. Keep it simple and fun. Shorter is usually better. 2. Go to places that are family friendly. Be sure your hotel is child friendly. They should have diapers and other necessities easily available. If you're staying with relatives or friends, make sure in advance that they are really ok with kids. And don't overstay your welcome. Remember the old saying "fish and visitors are not to be kept more than a few days." 3. Plan the trip in advance with your kids. Even if they are young, you can show them on the Internet where they are going. You all can talk about the trip at the dinner table. Help the kids understand how you expect them to behave. Set the rules and enforce them. We wish you all the very best on your next family vacation!! 1. Make sure the older kids know that they are responsible for their younger siblings. You will need help on the trip … make sure your older kids know that you expect them to help (and watch out for) the younger kids at all times. 2. Talk with your friends about their best travel experiences. There are lots of good family travel web sites … but we find the best and most unbiased advice has come from friends with kids our age. Friends' advice have led us to some our best travel experiences … and have helped us to avoid some difficult situations. 3. Travel with family or close friends. Sometimes travelling together with the kids can be "too much" togetherness. That's why it can be great to have another family or your extended family with you. They can look after the kids for a bit … and give you and your spouse some "adult time." Of course you must be sure that they are truly close and compatible friends. Otherwise it may turn out to be a trip you'd rather forget … so do be careful in selecting friends/family to travel with. Have fun with your whole family on your next trip!! What Should We Do When Our Kids Are in Crisis?